It’s looking like we are down to the last session (maybe two) before finishing this new record. Mostly just background vocals/harmonies is all that’s remaining. While you wait to hear these recordings… here’s all the live videos I could gather that have songs from the next record. While some of the songs have changed drastically before being recorded, you should be able to get a good idea of the direction of the record. Enjoy! Mini-tour with The Cave Singers begins today! 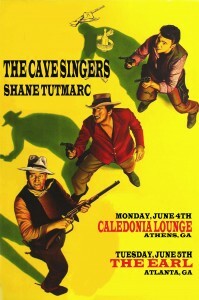 Tonight kicks off our mini-tour with the Cave Singers. We play Caledonia Lounge tonight in Athens, GA and tomorrow night we open for both Dan Sartain and The Cave Singers at The Earl in Atlanta. Ticket info is available on our shows page… and here’s our facebook event for the show. We are over halfway done with the record now. After the initial whirlwind day and half which gave us all our basic tracks (drums, bass, organ/piano, and some guitar) we have since gone back and tracked more guitars, which we will continue tomorrow in the studio. After we get all the guitars done, we bring in the horns and the backing vocals, and at some point in between there I will be finishing up my vocals. (mostly Hammond B3) we have Josh Shilling, who in addition to being a versatile singer/songwriter has also toured with Tower of Power and more recently he joined the acclaimed bluegrass ensamble, Mountain Heart. On bass we have the studio legend, Michael Rhodes, who can be heard on recordings by everyone from Rodney Crowell and Conway Twitty to Etta James! And on drums, we have Chad Cromwell, who has been Neil Young’s drummer since the late ’80s, as well as playing with Mark Knopfler/Dire Straits and many others. 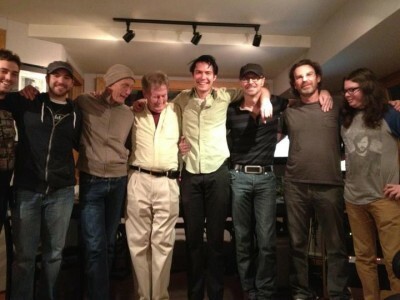 With this amazing “wrecking crew” we were able to track 12 songs in a day and half. The most takes we ever had to do was three, and that was on only one song! If everything continues to cruise as smoothly we should have this album wrapped up by early May. Click HERE for a photo gallery from the sessions via our facebook page. New Album Info & More! there has been a lot going on behind-the-scenes lately. Some of which I can talk about now. In just over 2 weeks I will be going into the studio to cut a new album! I can’t believe it has nearly been 3 years since the release of Shouting at a Silent Sky. I’ve probably written enough for about 3 very different records, but we have whittled those songs down to a very focused batch of tunes that I can’t wait to record and share with everyone. Let me tell you a little bit about the team I have assembled for this record. The sessions will be co-produced by RJ Stillwell, a Tennessee-native and modern day renaissance-man with experience as a studio/touring musician, production and management, and even work in film and TV, as well as the founder of Sound Healthcare. 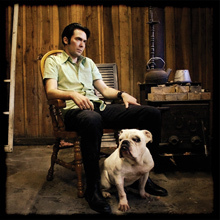 His most recent project involved co-producing and managing the country-duo The Devious Angels. The other producer on the album is legendary studio musician and arranger, Mike Leech. Starting in the mid-60s at American Sound Studio in Memphis, Mike played bass, percussion and many of the string and horn arrangements for the likes of ELVIS, Joe Tex, Dusty Springfield, and The Box Tops (to name just a few). After American Sound closed in the early 70s, he moved to Nashville and worked with Willie Nelson, John Prine, and was even a touring musician for The Highwaymen and subsequent Merle Haggard tours. I’m very excited to be added to his illustrious list of credits. Check out the full list over at All Music Guide. There will be a room full of great musicians (which I will tell you about later), as well as a horn section, and lots of back-up vocals. We’re thinking a mix of vintage Memphis Soul with a healthy dose of unpolished rough edges. I’m continuing to write until I walk thru the studio doors, so I can’t give you a full track-listing yet. But if you’ve been to a show over the last year or so, you will definitely recognize a few of them. I am also looking forward to getting back to my hometown of Seattle for a string of shows. I should have some sort of sampler of my new album ready by then, so Seattle will probably be the first place to hear the new music. 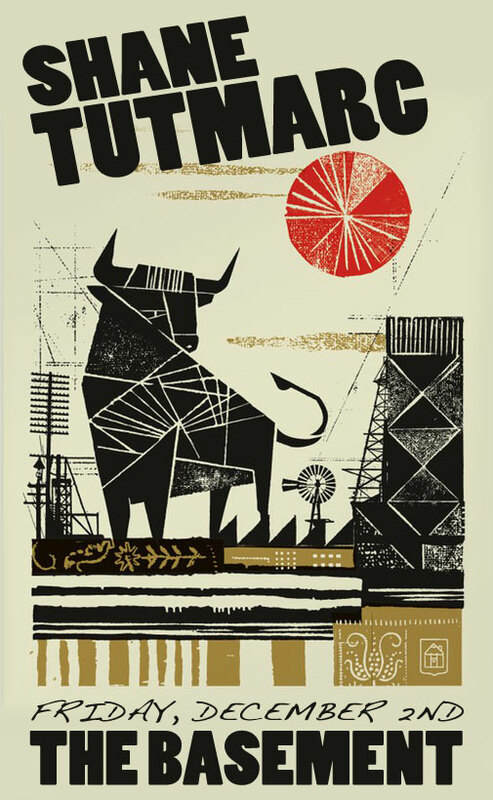 You can already buy tickets to my show at the Tractor Tavern opening for the great Dusty 45s on May 25th. Order tickets here. One more thing to share… I’ve started writing for a great new online magazine that focuses on music history. My first article was published in late January. If you are at all interested in pre-Beatles rock and roll take a look at the article, and feel free to leave me a comment with your thoughts. Read it here. I promise more studio/recording details as the dates approach, and once we begin tracking. More soon! Happy New Year! 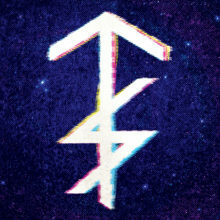 One of my new years resolutions is to get more music out in 2012. The last couple years have been filled with planting and growing, but now the harvest is upon us. Here’s two brand new songs that we debuted last month at the Basement shows. Back at the Basement this Tuesday! I’m bringing the big band to the Basement one more time before heading back to Seattle for the holidays. Come out this Tuesday night for a short and sweet set. 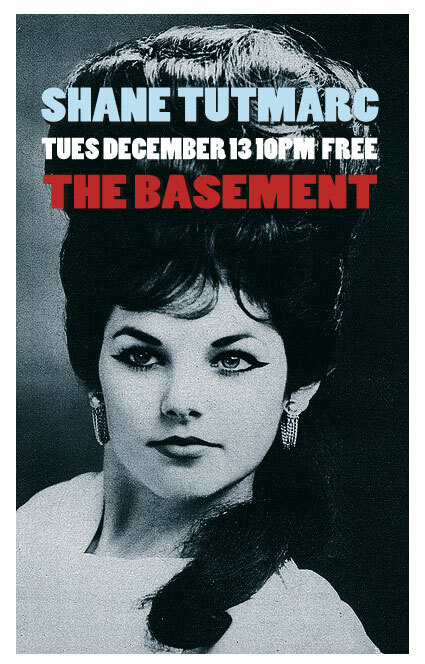 It’s The Basement’s “New Faces Nite,” so it’s free! Here’s the facebook EVENT so you can RSVP. Check out these new songs we debuted at last Friday’s gig at The Basement. Featuring Ethan Luck on lead guitar, Travis Terrell on keys, Paul Thacker on baritone sax, Jeremy Branon on bass, Steve Latanation on drums, and Ashley Anderson singing with me. I haven’t played a full set of original music in Nashville since the August 17th show at The End. Between tribute shows and side-projects, trips to the NW, and home-recording, it’s been nearly 4 months since I’ve played a local show. And what a show this will be! First of all, instead of the 3-piece line-up I had been using so frequently, I have a 7-piece for this show. Steve Latanation (Agent Orange, Derek Hoke) on drums, Jeremy Branon (Randy Montana) on bass, Ethan Luck (Relient K) on lead guitar, Travis Terrell (he’s played with Willie Nelson and George Strait at least once!) on keys, Paul Thacker (Jacob Jones) on baritone sax, and Ashley Anderson (Magnolia Sons) is doing back-up vocals and harmonies. Something else that is unique about this show is the setlist. It’s almost entirely brand new songs. I’m planning to get started on a new record in the first half of 2012, and this is the first time I’ll be trying out some of the new tunes. Hopefully we’ll get some video footage of the set. Come on out, Nashville, to the Basement tonight! Hey friends – I’d love for this website to feel more up-to-the-minute about important news, but sometimes I’m too in the thick of it to be able to comment. So since getting back to Nashville in early September here’s what’s been going on. On October 20th, I was part of a great all-star tribute to Tom Petty featuring Heath Haynes & the Hi-Dollars backing up a long list of great singers including Sammy Barrett and Josh Hedley. Oct 29th marked the debut of the Clash cover band, White Riot, in which I play and sing Mick Jones’ parts. Here’s a clip from that fun night at the Mercy Lounge: Complete Control (Cover) – by White Riot. On Nov 11th (11.11.11!) I performed alongside a number of American Idol contestants as well as a solid group of Nashville singer-songwriters at the Listening Room for a fund-raiser/silent auction that benefited Second Harvest Food Bank. The concert raised $3,458, which means 13,636 meals for hungry folks in middle TN. Throughout all this, I’ve continued working on the documentary soundtrack for Touch The Wall, which should be all wrapped up this week. And the final highlight to share with you is an exciting one. Last month we had “So Hard to Make an Easy Getaway” featured in a Lifetime TV movie, and now next Monday (Nov 28th) “Lost Myself Again” will be featured on the premiere of Anthony Bourdain’s new show, The Layover 9pm EST on the Travel Channel. Here’s more about the show: travelchannel.com/tv-shows/the-layover. And now that we are caught up, let me tell you where I am now. Back in Seattle. My sister flew me out here as a surprise to my folks (they were surpised!). And while I’m here, I’ve put the original Traveling Mercies back together. My cousin Ryan Tutmarc on bass, and my brother Brandon Tutmarc on drums. We’re playing The Shakedown in Bellingham with one of my all-time favorite local bands the Dusty 45s, who have spent much of the year backing up Rock & Roll Hall of Famer, Wanda Jackson on the road. Here’s some more INFO and here’s my Facebook EVENT for it. I’ll check back in with y’all after the show. Hope you all have a cozy Thanksgiving holiday with family and/or friends. As promised, So Hard to Make An Easy Getaway hit digital outlets this week. Get your copy today!